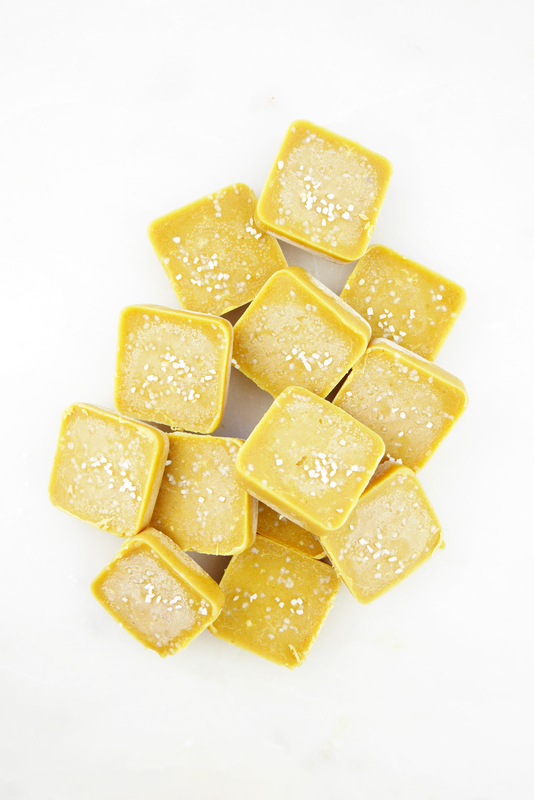 No-bake pumpkin sea salt fudgy bites… hello fall sweet treat! If you are like me, Christmas is probably already on your mind. As a November baby however, I am maybe a little biased to giving Thanksgiving the celebration it deserves. 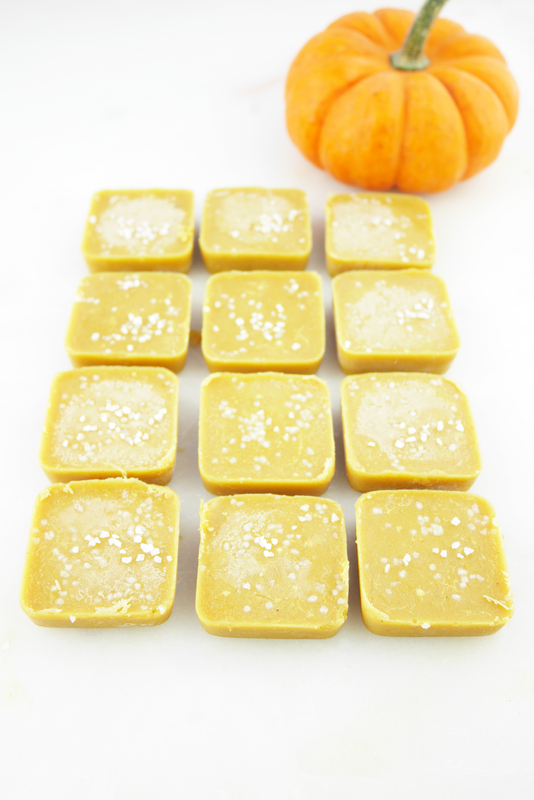 Thanksgiving means embracing all things fall which of course includes pumpkin! While pumpkins are fun for carving and keeping on your porch, they are also a nutritional powerhouse! Rich in fiber and beta carotene which is a powerful antioxidant (hello, anti-aging) and precursor to vitamin A, our skin loving vitamin that helps keep our immune system strong. These fudge bites only require 10 minutes of hands on time and the freezer does the rest of the work! These are ready to enjoy in just a few hours. 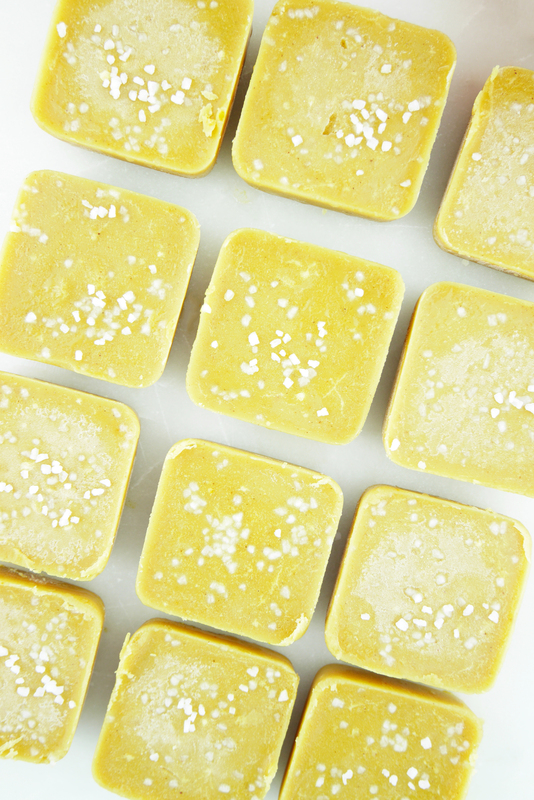 Store them in the freezer for an easy grab and go fall treat. With just the right amount of sweetness and filling fats, these satisfy my sweet tooth. I have been having one or two (or three) after dinner each night! Add all ingredients to a medium saucepan over low heat and whisk together until everything is combined and liquid. Pour mixture into your non-stick fudge mold or non-stick muffin tin. Top with sea salt. Place in the fridge until fudge has hardened, 1-2 hours.